Preheat oven to 350 F. Line cookie sheets with silicone baking mats or aluminum foil to prevent cookies from sticking. 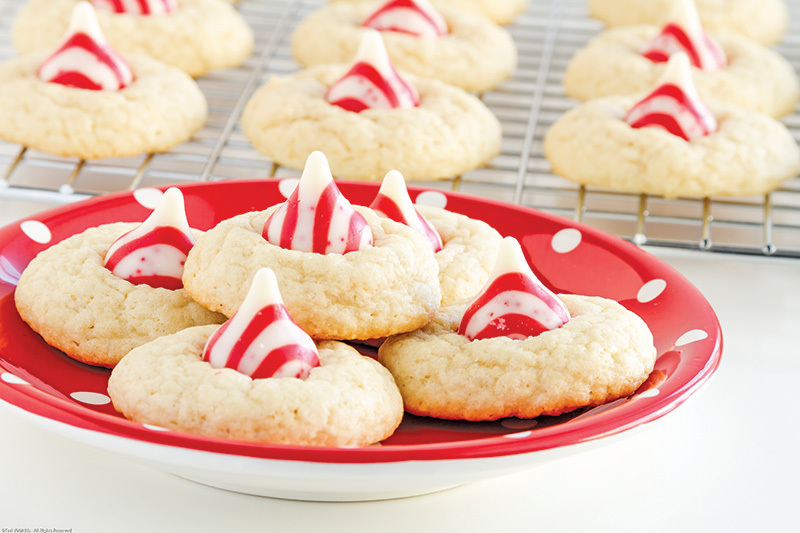 Remove candy cane kisses from wrappers so you have enough to for 3 dozen cookies; set aside. In a large bowl, mix butter until creamy. Gradually add ⅔ cup sugar; beating until light and fluffy. Stir in vanilla extract and crushed candy canes. Gradually add flour to mixture, beating well after each addition. Bake cookies for 10 to 12 minutes or until edges are lightly browned. Remove from oven and let cool on the baking sheet before moving cookies to wire rack to completely cool. Cookies may crumble if you move while still hot.